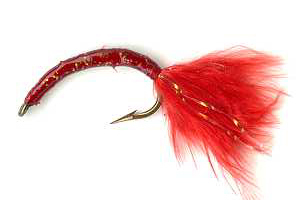 The Bloodworm is a popular nymph, and can be used to target many species of fish, and can be fished in many ways. Many stillwater anglers catch trophy size Trout off float tubes using this fly. 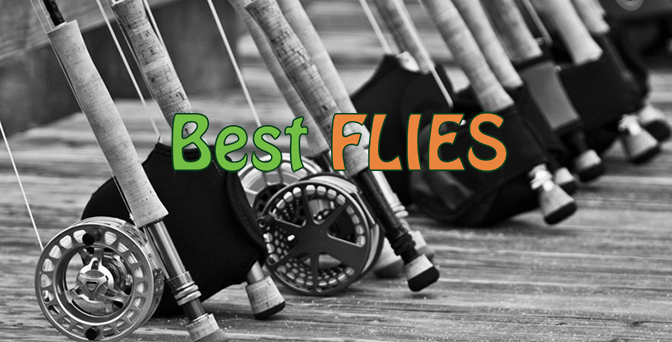 They use it in a “follow-my-leader” setup, by using a large, often heavy, wet fly and then tie the bloodworm a certain length behind this wet fly. The Bloodworm is used a lot during the stillwater Trout spawning season. The Bloodworm is a very interesting fly, that almost mimics a whole clump of bloodworms together. As mentioned above, the Bloodworm is popular amongst Trout fly fishermen, but it comes into it’s own as a saltwater pattern as well. It mimics a wide range of saltwater creatures, such as the Coral Worm, which form parts of any sea fishes diet. The best way to fish the Bloodworm pattern would be drifting it in an estuary channel or slowly retrieving it off the rocks in gullies. You can catch various species on this fly and it is even worth it drifting it across prawn banks at high tide.